No country has ever reduced poverty without investing substantially in energy. Not only is it central to all human development goals, but it is also central to how we are globally dealing with climate change. Earth Day (22 April) is an important reminder for all South Africans to be cognisant of their country’s energy situation especially now, as the Government is facing several important and life-changing decisions.The South African government made two important announcements: The Department of Mineral Resources said that shale gas fracking in the Karoo would go ahead while the Treasury Department has said they are in the process of deciding whether to move forward with the controversial nuclear deal. According to Impact Amplifier’s Energy Provision at the Base of the Pyramid report Africa’s lack of adequate energy is directly related to systematic poverty on the continent. Says Felix Philipp, Energy Revolution Africa speaker and Project Manager at Impact Amplifier: “The overall weakness and deficiencies of the power sector have created a recurring theme of constrained socio-economic growth and development.”“Although gas might be a viable option for the energy mix of South Africa, I see too many issues around shale gas from the Karoo to justify its exploration,” said Wim Jonker-Klunne, Programme Director at the Energy and Environment Partnership and another of Energy Revolution Africa’s advisory board members. “The impact on local livelihoods and available water will not justify the exploration of shale gas, particular as many other (renewable) options are available.” Adds Ms Pombo-van Zyl: “If we want to see the economic boom that Africa is capable of, we need to be exploring all potential solutions, creating an energy-mix that aims to increase our electrification rates, and that addresses our unique challenges perhaps through mini-grid solutions. Importantly, our governments must provide decisive action around policy and regulation to promote investor confidence.”Energy Revolution Africa will provide a platform for solution providers to meet with developers and end customers in the transitioning energy landscape in Africa. It will create a platform for debate in an industry that holds the key to so many of the Continent’s challenges. 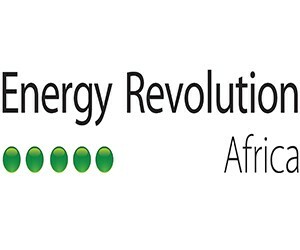 Energy Revolution Africa takes place at the CTICC in Cape Town from 16 – 18 May.